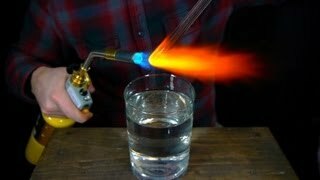 One thing that the mentioned video did not demonstrate is how Prince Rupert Drops can be made without a commercial glass furnace. The video i have put together was made to supplement that information. Please be sure to leave a comment, subscribe, and if you really want to help me out share this video on Facebook and other social media. How to Make Prince Rupert's Drops - Glass That Fractures at the Speed of High Explosives. Posted on 28th Mar @ 03:29 1,174,343 0 Download. How to Make Prince Rupert's Drops (Glass That Fractures at the Speed of High Explosives) A Prince Rupert's Drop is a very interesting demonstration in physics that.